THE NEW PTPRPOKER.COM LAUNCHES 12/26/12 !!! We close 2010 by handing out our awards for the past poker season. It was one crazy race for Tournament Player of the Year. Mizzi led for most of 2010 but Frank Kassela and Thomas Marchese both held the lead for a bit as well. Everything went screwy on Haloween night when both points leaders, Mizzi and Marchese, were running deep at WPT Foxwoods - then we knew we had a race that would go right to the end ... and add to that Chris Bell's big score late in the season and it's a minor miracle that Mizzi was able to survive and win the title. After a quiet (by his standards) 2009, The Grinder had one hell of a rough start to 2010. 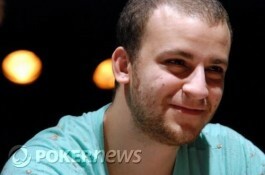 But Mizrachi took the WSOP by storm this season - making one of the most impressive comebacks to poker ever. Tip of the hat to Carlos Mortensen, who's 7th overall finish was only a great way to make sure that people haven't forgotten about El Matador! Wow, Thomas Marchese earned his first EVER live cash in February at Borgata. 11 months later, Marchese was Card Player Player of the year and finished third overall on our PTPR Charts - quite a year for the young rookie. While the world was a buzz for the conclusion of the WSOP November Nine, Vanessa Selbst was dominating the final table at Europe's own version of the November Nine - the Partouche Tour Grande Finale in Cannes. And we're not kidding, Selbst was a beast at Cannes, destroying her competitors one by one. Not a bad year for the "part-time" tournament player. If Selbst would have played more at the start of the 2010 season, is there any doubt that she would have contended for the PTPR's #1 overall spot? Not in our books. Dwyte Pilgrim, the first ever King of the Minor Leagues, could become a Top 5 player in 2011 if he continues climbing the poker ranks the way he has in 2010. Pilgrim had been dominating the WSOP Circuit events (before the new WSOPC came into place) when he won a WPT tour event later in the 2010 season. Look out for Pilgrim in 2011. Marcel Bjerkmann is one heck of an interesting man. Here's a fact - when Bjerkmann is mentioned anywhere on this blog, Scandanavians light up our stats! Bjerkmann is by far the most popular player on this site ... and his winning two big European events (the Belgian Open and the Masters Classic in Holland), Bjerkmann is one EPT Main Event win away from becoming a household name around the world. David Williams enjoyed his first major cash in a while, and, the other players in the Final 18 made this one of the toughest final fields of the season. Williams beat Eric "Basebaldy" Baldwin heads up. Shawn Buchanan, Phil Hellmuth, JJ Liu, Scotty Nguyen, Olivier Busquet, David Benyamine, Faraz Jaka, JohnnyBax, Billy Baxter, Matt Stout, Tony Cousineau, Jason Lester, Josh Arieh were all players involved in the Top 18 - incredible field and amazing tournament! Most PTPR Points and most PTPR Scores, enough said, this certainly was Mizzi's year. Congratulaions to Sorel and the rest of the award winners from the 2010 season - here's hoping 2011 is even better! 2012 PCA: LONG NIGHT AHEAD FOR THE HIGH ROLLERS! Copyright 2011 - PTPR POKER. Powered by Blogger.